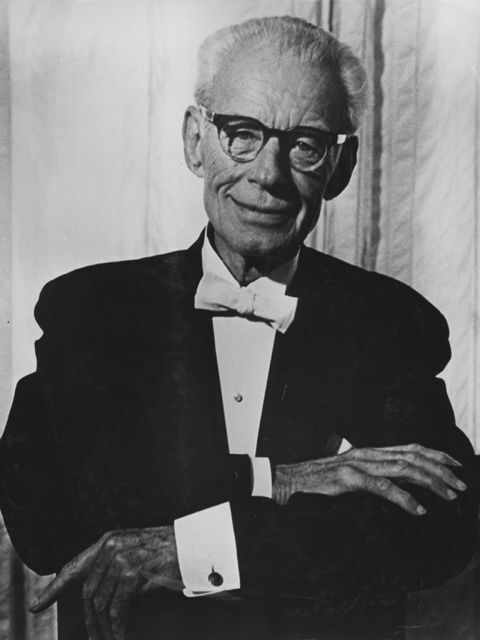 Oklahoma Connection | Harrison came to Oklahoma City in 1951 as the music director and conductor of the Oklahoma City Symphony Orchestra. Guy Fraser Harrison conducted his first orchestra in the orchestra pit of a silent movie house in 1924. Guy Fraser Harrison was born in England and began his rigorous musical training at the age of eight when he was selected to be a member of the Christ Church Cathedral Choir at Oxford. At sixteen, he won an organ scholarship to the Royal College of Music in London and at nineteen, traveled to the Philippines as organist and choir master at the Cathedral of St. Mary and St. John in Manila. He remained there six years before coming to the United States in 1920 to work with St. Paul’s Episcopal Church in New York. After teaching several years at the Eastman School of Music, Harrison began conducting for the Eastman Theater Orchestra in 1924 and the Rochester Grand opera. He was associate director of the Rochester Philharmonic when he came to Oklahoma City in 1951 and, during his two decades there, devoted much of his time to developing young artists and bringing classical music to schoolchildren, as well as developing this group of musicians into one of the great orchestras of the world. After retiring from the city orchestra in 1972, Harrison spent spring academic quarters teaching at the University of Oklahoma where friends established the Guy Fraser Harrison Chair for Visiting Artists.